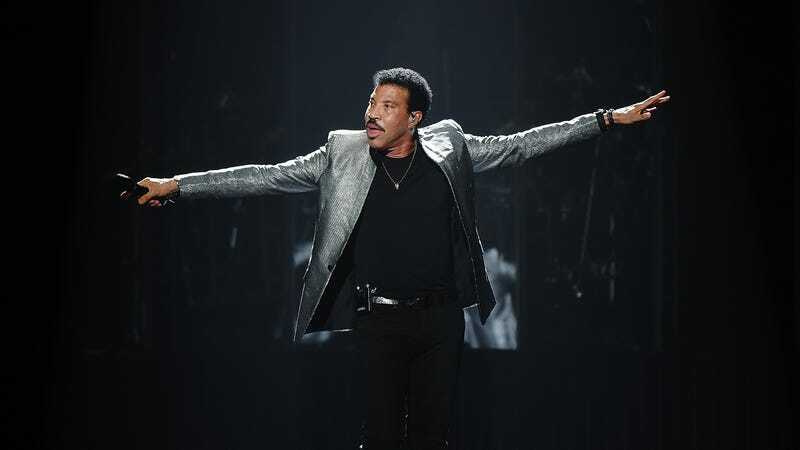 With less than a week to go before the revived reality singing show was set to hold its first round of new auditions, American Idol has announced that legendary singer-songwriter Lionel Richie has signed on to be its third judge. Richie joins a panel whose other two slots are filled by Katy Perry and country singer Luke Bryan, accompanied by unstoppable, ageless revenant Ryan Seacrest as the show’s returning host. Rumors had been circulating for months that Richie would end up taking the judges’ table’s third slot, with a deal finally falling into place today, according to Variety. As a five-time Grammy winner, Richie has vast experience in the music industry to pass on to singing hopefuls competing on the now ABC-based show. Meanwhile, rumors that he insisted on being paid for his work solely in clay sculptures of his own head remain apocryphal at best.